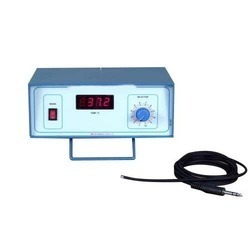 Digital Pyrogen Tele Thermometer is specially designed for measurment of low temperatures in the range from 0 to 150oC with six probes. Provided with 6 probes. Shows the temperature of six different locations, selectable one by one with the help of a switch. With a digital readout and the resolution of temperature is 0.1 degree C.
INSIF India manufacturers a wide range of Digital Tele Thermometer. Use for Pyrogen testing 0 to 6 channel (Digital Display Temperature) with 6 probes. Telethermometer with single probe 6 probe, individual display for each channel. No of Channels: 1, 5, 8, 10. Backed by a team of adroit professionals, we are manufacturing an extensive gamut of Digital Tele Thermometer 6 Channel Model for accurate temperature measurement in laboratories. It helps in achieving optimum temperature and temperature gradients which aids in obtaining accurate experimental results. Multi Channel Digital Tele Thermometer is An Extremely useful instrument For pyrogen Testing In any Pharmaceutical industry. the Instrument is provided With 6 Channel facility so that temp for 6 animals can be checked at a time . Provision Has been made at the back of instrument for temperature calibration if considered necessary. 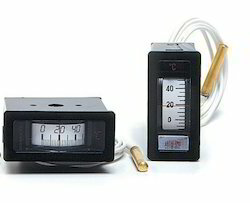 We offer high quality Digital Tele Thermometer to our customers. Use for Pyrogen testing 0 to 6 channel (Digital displpay Temperature) with 6 probes. We are among the reputed organizations, deeply engaged in offering an optimum quality range of Digital Tele Thermometer.